Two iconic songs of the 80’s: True Colors and Sunglasses at Night. Corey Hart, the underdog crooner of the 80’s, a Canadian from Montreal no less. (However, it worked for Celine Dion, did it not? LOL) I wasn’t too fond of The Boy in the Box (my hubby loves that song) but I could really party to Sunglasses at Night. 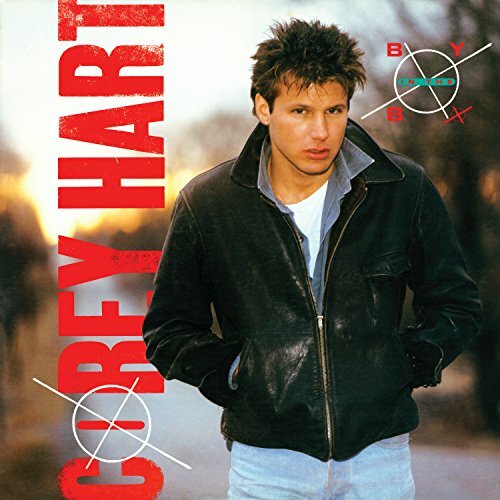 Enter Corey Hart, great looking clean-cut guy, great hair, big kissable lips, I mean, what a heart-throb! The picture of him in his brown leather jacket was taped onto every girl’s closet door, I’m sure. Sunglasses at Night came out in 1983/84 along with his other platinum hit, Never Surrender, but the real romance started when he released Can’t Help Falling in Love in 1986. I was in second year of Uni and girls were swooning over this song all night long. This look is how I remember her: wild looking a little bit off the cuff. When Cyndi Lauper’s debut album She’s So Unusual hit the stores in 1983, we couldn’t get enough of it: Girls Just Want to Have Fun, Time After Time, She Bop, All Through the Night, to name a few of the good ones. Set in the midst of the new-age techno sound, we bopped and ‘lauped’ to all. True Colors in 1986 became a national anthem of sorts.